It's finally happening! Power Rangers is officially shooting. Lionsgate announced the news earlier today. Saban, the company behind the longstanding action franchise, has its cast and crew in Vancouver, where production is now underway. Following five ordinary high school kids who must become something extraordinary, Saban's Power Rangers brings the popular TV show to the big screen in 2017. This group of outsiders learn that their small town of Angel Grove - and the rest of the world - is on the verge of being obliterated by an alien threat. Chosen by destiny, our heroes quickly discover that they are the only ones who can save the planet. But to do so they will have to overcome their real-life issues and band together as the Power Rangers before it is too late. The film stars Dacre Montgomery as Jason the Red Ranger, RJ Cyler as Billy the Blue Ranger, Naomi Scott as Kimberly the Pink Ranger, Becky G. as Trini the Yellow Ranger and Ludi Lin as Zack the Black Ranger. Elizabeth Banks is the main villain, Rita Repulsa. Dean Israelite is directing from a script written by John Gatins, Burk Sharpless and Matt Sazama, and Max Landis. Producers are Power Rangers creator Haim Saban, Brian Casentini, Wyck Godfrey, and Marty Bowen (The Twilight Saga, The Fault in Our Stars, The Maze Runner franchise). Allison Shearmur (The Hunger Games franchise; Rogue One: A Star Wars Story) and Brent O'Connor (Warcraft) serve as executive producers. Brian Tyler (Avengers: Age of Ultron; Now You See Me) is the composer and Kelli Jones (Straight Outta Compton, Sons of Anarchy) is the costume designer. Set decorator is Oscar-nominated Hamish Purdy (The Revenant) and stunt coordinator is Paul Jennings (Game of Thrones, San Andreas , The Dark Knight). Weta Workshop (The Lord of the Rings, Avatar, District 9) is in charge of suit design and visual effects. Andrew Menzies (Fury, X-Men) is the production designer and Director of Photography is Matt Lloyd (Daredevil, Cop Car). 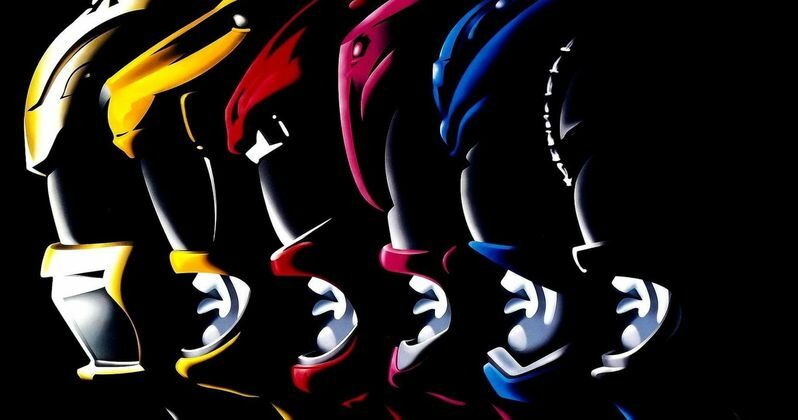 Saban's Power Rangers will debut in theaters on March 24, 2017. And it promises to be one of next year's biggest movies!